Need Help? Here are some of the most common questions and answers. When I sign up for a Lunker’s Guide membership, is my transaction safe? We use Stripe as a payment gateway. Stripe is renowned for security and provides safe online transactions for millions of internet users every day. No credit card information is stored on our site at any time. All payment information is stored and processed through Stripe. Is my information shared with any outside parties? We respect your privacy! Any information contained within your Lunker’s Guide account is never shared with any outside party. How do I get Lunker alerts on my phone? To get to phone alerts, first, log in to your account. 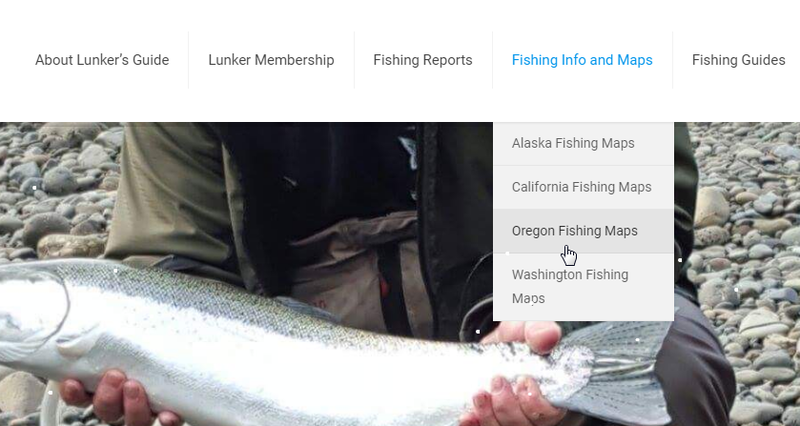 Next click the “Lunker Membership” tab on the top navigation bar on the Lunker’s Guide website, click “Mobile Alerts!” from the drop-down. Once on the mobile alerts page, click the desired state, once clicked you’ll be prompted to select the rivers you’re interested in. After you made your selection click JOIN! Once complete you’ll receive mobile alerts for the rivers you selected on your cell phone via text message. How do I cancel the text message alert service? To cancel the Lunker Alert! Text message service, simply reply STOP to a text message that you have received from the service. You can also discontinue by texting STOP to 313131 (393939 in Canada). For help text HELP anytime. How do I cancel my membership with The Lunker’s Guide? Although we will be sad to see you go, canceling your Lunker’s Guide membership is simple. 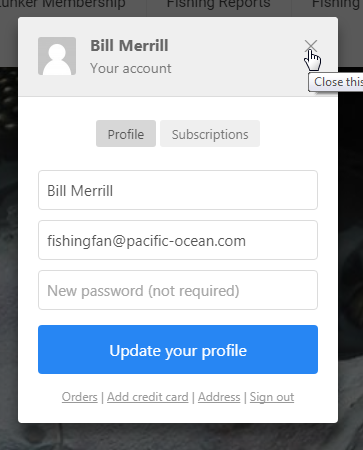 Sign into your Lunker’s Guide account and go to the Subscriptions tab. There you will see a link to “disable auto-renew” click the link and you will no longer be billed for the service. On our home page you’ll see a member sign-in section on the left sidebar, the says MEMBER ACCESS. Once you sign in, you may be redirected to the homepage but in the MEMBER ACCESS section, you will have a new tab that says ACCOUNT. Click that link and it will take you to your account page. Just under your name, it will show two tabs, PROFILE, and SUBSCRIPTIONS. Click the subscriptions link and click disable auto renewal. 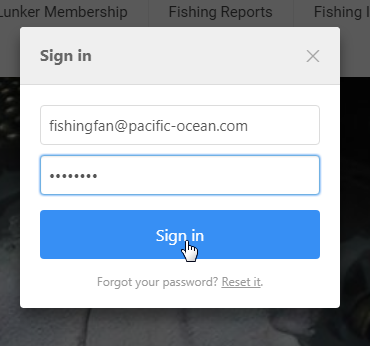 If you are having problems logging into your Lunker’s guide account here are a few things to be aware of. Your new password link (expires in 48 hours). If you try again don’t use an outdated link that has expired. If you’re using an older web browser like (Internet Explorer). Try pasting the link into a newer browser like Safari or Chrome. If you’re using Internet Explorer as a browser the site will not work properly. Please use Chrome, Edge or Firefox. Here is some information to give you a better understanding of how our new site works. To login to your account go to the main navigation bar at the top of the site, click membership and sign in. A pop up will display the login box where you will need to enter your login info. Once you sign into your account, it will look like this. From here you can manage your password, on the bottom you can navigate to your order info, add a credit card, change your address or sign out. To access the content on the site click the X in the upper right-hand corner, this will take you to the home page of our site where you can navigate to the premium content only available to our Lunker’s Guide Members. Once on the home page, to access our fishing maps, go to the main navigation bar at the top of the site and hover over Fishing Info and Maps. A drop-down will appear where you can select the state that you prefer. Once on the page of the state, you selected choose your preferred region. Once you access the region you have chosen the information is broken up into counties and river and creaks within them. From here you can select your preferred river. Once on the river page member will have access to the Salmon and Steelhead Run Time- Table Chart and the link to our Fishing Access Map. To view the fishing access map, Simply click the map image at the bottom of the page and you will be forwarded to the map. Once fished view the premium content, to sign out, click the sign-out link at the top of the page navigation bar. What if I am not satisfied with my membership? We at The Lunker’s Guide strive to provide an excellent user experience. If within 3 days of sign up you are not satisfied with our service we will refund your money. All refund request after 3 days will be at the discretion of The Lunker’s Guide. Please feel free to contact us with any additional questions.